In Alhaurin el Grande, located on the Sierra de Mijas hillside, beside large crop fields typical of the area, you can appreciate the Guadalhorce Valley landscape. As well as natural landscapes, you can also enjoy the Easter Week, declared being of National Tourist Interest or learn about how olive oil is produced in the Molino de la Paca (La Paca Mill). The village has an Agricultural Museum, where tools and objects used for the harvest in the region are kept, giving you a view into the daily lives of the inhabitants. The famous writer Gerald Brenan lived in Alhaurin el Grande. The municipality pays tribute to him with an Annual Literary Competition. Visitors to Alhaurin el Grande must visit the Paca Mill, a tourist attraction that has been in operation for over a century, where you can learn about the traditional method of olive oil production. Molino Morisco de los Corchos is also an interesting example of a hydraulic mill from the 15th and 16th centuries. On our walk, we come to the Calle San Rafael (San Rafael Street) crossing through a beautiful archway: this is the Portón de San Rafael. There is also the Arco de Cobertizo, a part of what was once a defence wall in ancient times, as well as Roman archaeological sites. The main religious monument is the Nuestra Señora de la Encarnación Church, built in the 16th century on the same land where there was an Arabic construction. The figure of the Virgen de Gracia, saint of the village, presides the church, which has three naves. The village has two chapels which are the headquarters of two rivalling brotherhoods. One the one hand, there is the Santa Vera Cruz Chapel, headquarters of the Santo Cristo de la Vera Cruz (Holy Christ of the True Cross) brotherhood, "los verdes" (the greens). 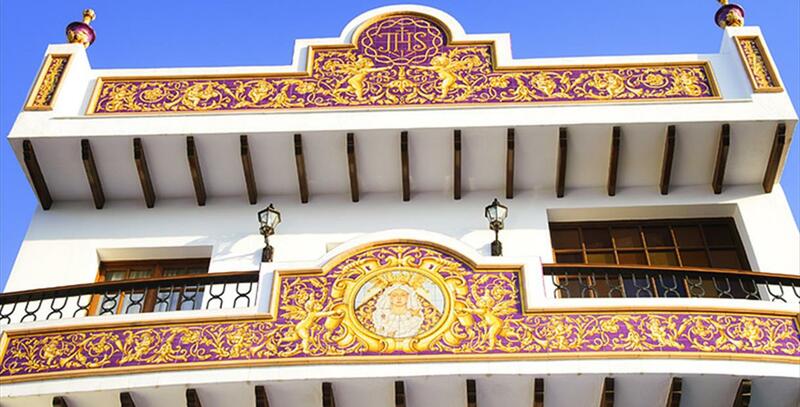 On the other hand, the San Sebastian Chapel, headquarters of the brotherhood Nuestro Padre Jesús Nazareno (Our Father Jesus of Nazarene), "los moraos" (the purples). Finally, from the Lucena or Doce Caños (Twelve-Spout) Fountain, just as you exit the village, the visitor can enjoy the pleasant sound of running water. Alhaurin el Grande is about 30 minutes away in car from the capital of Malaga. To get there on the motorway, you take the N-340 and come off onto the Coín motorway. This motorway crosses Alhaurin de la Torre until reaching Alhaurin el Grande. 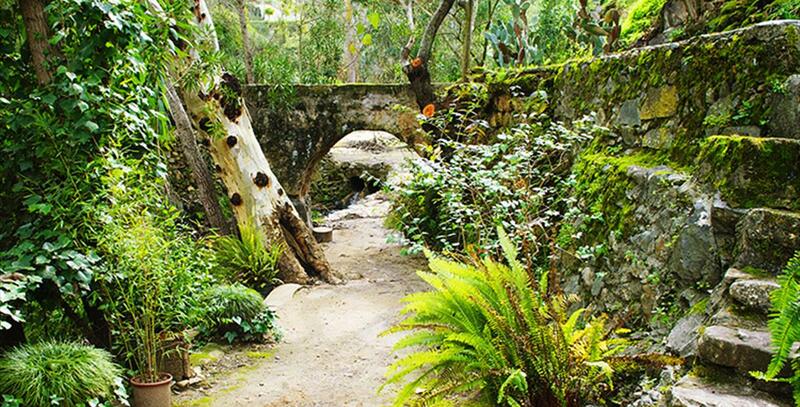 Situated right next to the Sierra de Mijas mountain range, Alhaurin el Grande is the perfect starting point for hiking and cycling routes, such as the Fuente del Acebuche (Olive Tree Fountain) route. The area"s greenery and wildlife made up of mountain goats, foxes and even birds of prey. Alhaurin Golf Club is an 18-hole golf course designed by the legendary golfer Severiano Ballesteros. This sporting ground offers magnificent views of the Sierra de Mijas mountains and the Mediterranean Sea. The main golf course is situated on particularly uneven terrain, which gives it a distinct identity. Every year in Alhaurin el Grande, the Gerald Brenan Short Story Competition is held, in memory of the British writer's relationship with the village. 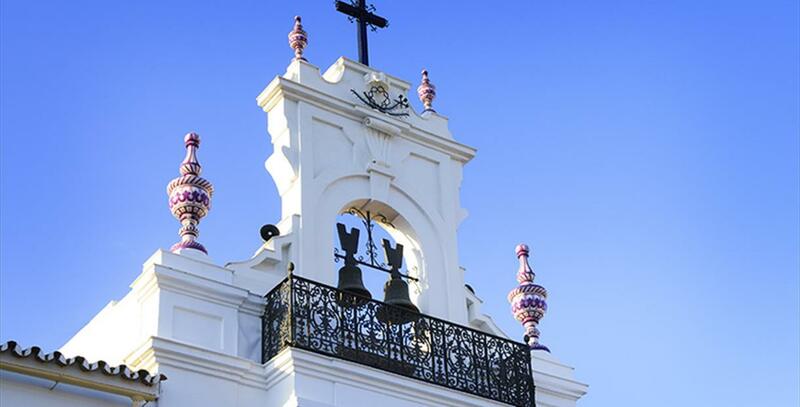 The festival celebrated most fervently by the residents of Alhaurin el Grande is Easter Week, proudly declared as being of National Tourist Interest. It is impregnated with the rivalry between the two brotherhoods, "los moraos" and "los verdes", who lead the procession on Holy Thursday and Good Friday respectively. On account of these two brotherhoods, other festivals are also celebrated, such as the annual outing of "los verdes" in May, or the outing of "los moraos" on Corpus Christi Day; as well as a joint pilgrimage during the festival held in honour of Christ of the Agony. Religious events aside, the Alhaurin Flamenco Night is held in July, where flamenco lovers participate and enjoy concerts throughout the village. Typical dishes of the area can be tasted in all their glory in this village in the Guadalhorce Valley. Migas (toasted bread accompanied with garlic, cold meats and peppers), gazpacho (tomatoes, pepper, cucumber, garlic, bread and olive oil), all blended together and served very cold) and traditional soups are all part of the culinary taste of the municipality. Also worth mentioning is the pan cateto (rustic bread) and the olive oil buns, ayuyas (fried dough served with sugar and cinnamon) and buñuelos (fritters). Alhaurín el Grande has been home to man since the Neolithic, as shown by stone axe findings in Huertas Altas. Since then, the village has seen Iberian, Phoenician, Greek and Roman settlements. The Romans built an aqueduct whose arches can still be seen near the Lucena Fountain, and a few pools. The site also contained an alabaster statue and several coins from the times of Diocletian. Tuscan capitals were unearthed in Haza del Tesoro. The village"s location today dates back to Muslim days. The Arabs built a fortress on the site now occupied by the Parish Church of Nuestra Señora de la Encarnación and the Arco del Cobertizo. Under the Arabs, Alhaurín el Grande was a thriving village as a result of the rational use of water resources in agriculture. When the region fell to the Christian army in 1487, the land was reallocated to new dwellers. It was then that the Catholic Monarchs added the phrase "el Grande" to the village"s name. According to historians, the Arabic word "Alhaurín" might mean "The Garden of Allah", "The Sink", "The Valley" or even "The Freemen". The descendants of the Christians who settled in the village bought their town charter in 1634, thus turning Alhaurín el Grande into an independent district. With the centuries, the beautiful village in Guadalhorce Valley learnt to keep its deeply-rotted customs and traditions alive. An emblem of its eventful history, the Golden Fleece in the village"s coat of arms was granted by King Charles I of Spain. Alhaurín el Grande was the place chosen by the British traveller and writer Gerald Brenan to spend the last years of his life. Born in 1894, this very well-known writer was awarded the Order of the British Empire in 1982. He moved to Alhaurín el Grande in Málaga Province in 1970, after travelling across Andalusia. In 1989, he established the Gerald Brenan Foundation. A literary competition was created in his honour in 2004, giving awards to the best short stories.